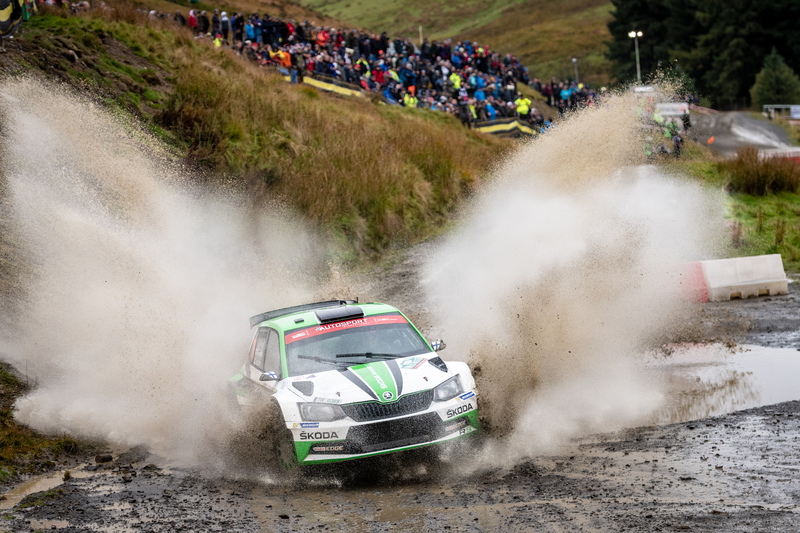 Deeside, 6 October 2018 – ŠKODA junior Kalle Rovanperä and co-driver Jonne Halttunen (FIN/FIN) continue to control the lead of the WRC 2 category after day 3 of Wales Rally GB, the eleventh round of the 2018 FIA World Rally Championship. 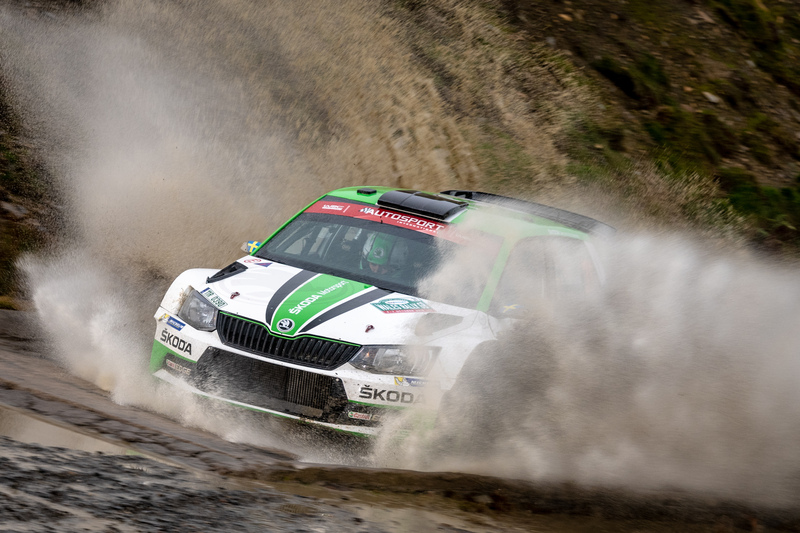 Their teammates Pontus Tidemand/Jonas Andersson (SWE/SWE) managed to defend second position with their ŠKODA FABIA R5. 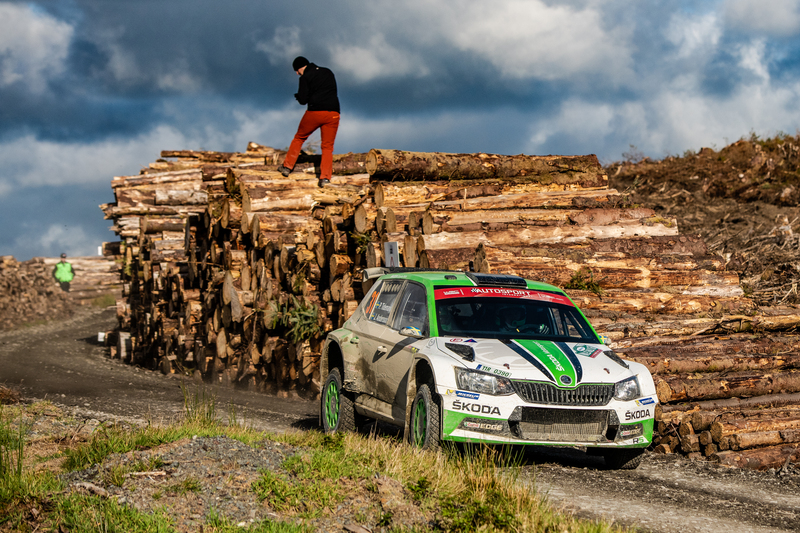 With one day to go, ŠKODA Motorsport could achieve the season’s third double victory in the WRC 2 category. 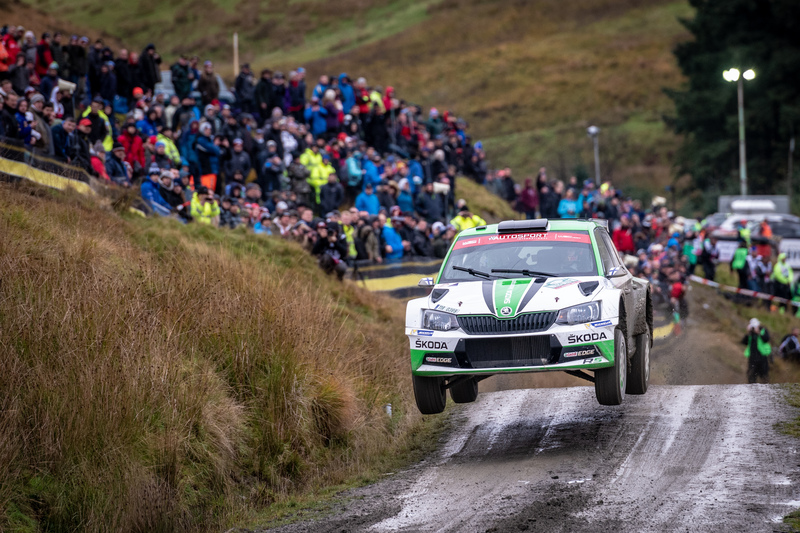 The Saturday leg of Wales Rally GB was the longest and most challenging day of the rally with nine stages totalling 150.24 kilometres and no service in between. Only a tyre change zone after five stages allowed to put some new tyres on the rally cars. 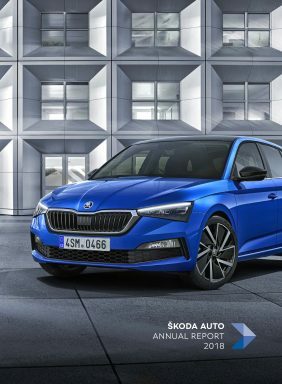 Necessary repairs or maintenance of the cars could only be made by the crews with the tools and spare parts they carried on board. The nine stages of the day were classic Welsh forest roads, already in the past often used during Wales Rally GB. 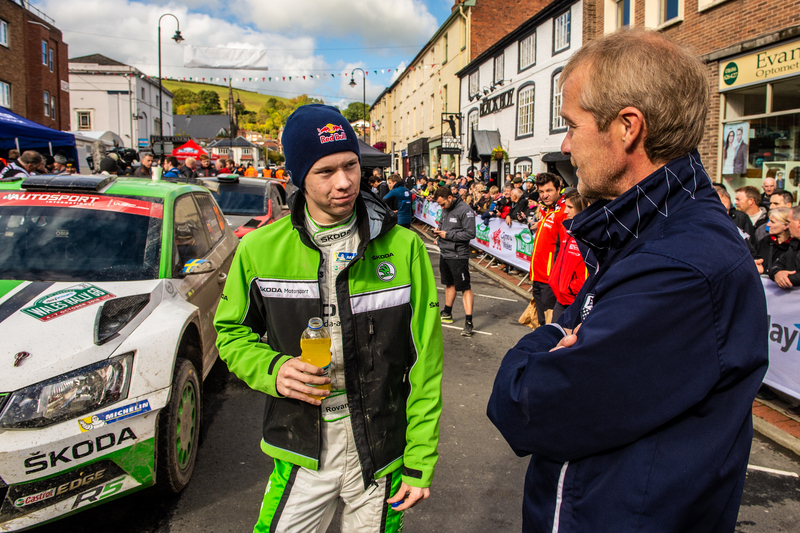 While Kalle Rovanperä is competing in Wales only for the second time, his competitors had much more knowledge of the stages. The day started as a wake up with the 20 kilometres of Myherin which were partially running over open fields spotted with wind turbines. 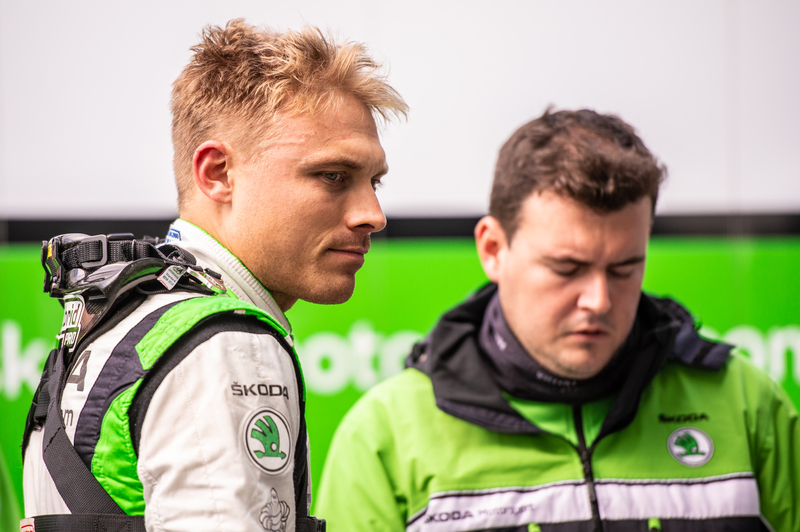 Kalle Rovanperä was fully awake on the opening stage of the day, setting the second quickest time ahead of teammate Pontus Tidemand and increased his WRC 2 lead to more than a minute. “It was neither a bad stage, nor a good one for me. We will see. I think it is going to be a nice fight today,” was his comment, which turned out to be a forecast for an interesting rally day. 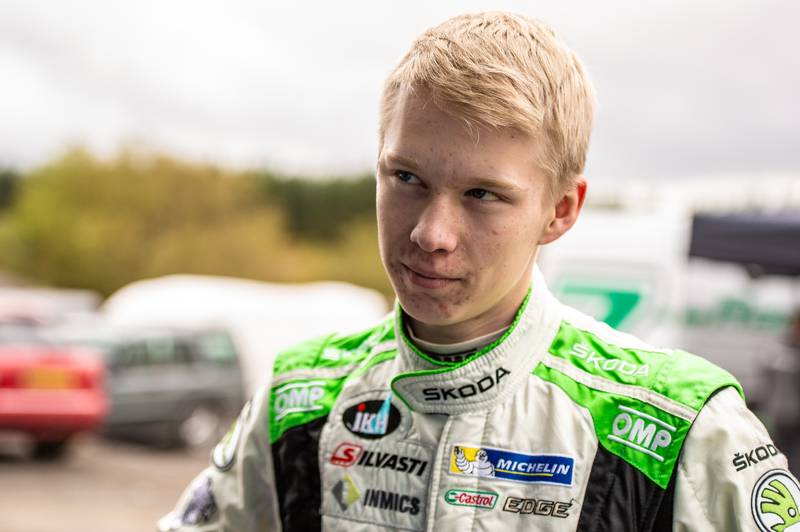 And the 18 years old Finn set the fastest time on the next stage ahead of Tidemand, who in turn managed to keep Ford driver Gus Greensmith behind. 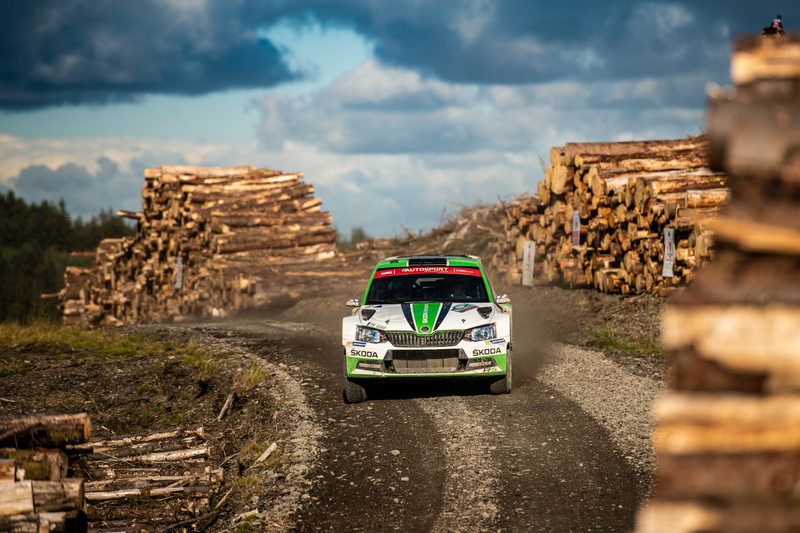 Setting a fastest time during the next test, the Swedish WRC 2 champion consolidated his second position. 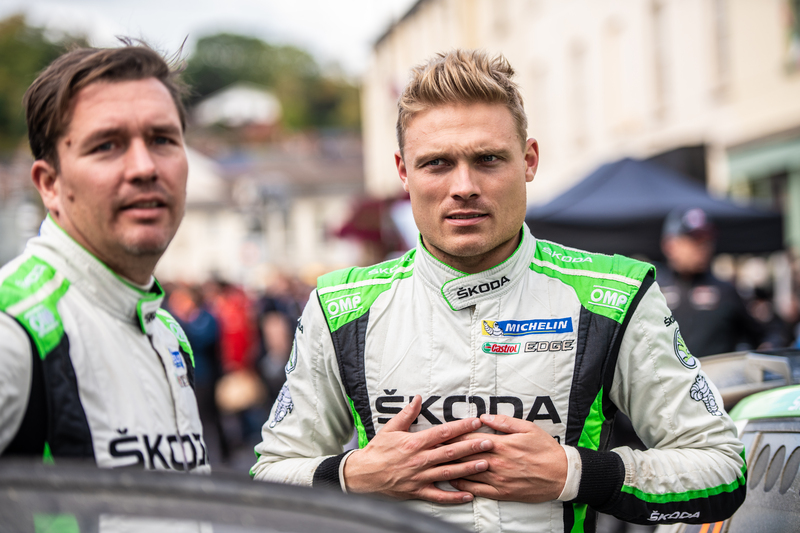 At the midday rest halt in Newtown, the ŠKODA works drivers Rovanperä and Tidemand held a double lead in the WRC 2 category. During the afternoon leg, the sun came out and Kalle Rovanperä enjoyed the ride on the gravel roads. “Now it’s getting drier and we have much more grip than in the morning. 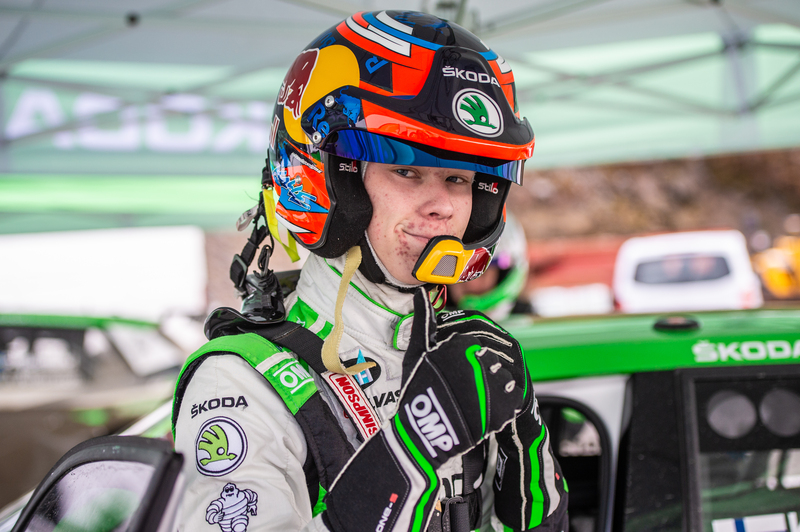 But nevertheless, there are some slippery places where we have to be careful,” described the young Finn, who scored another two fastest times in WRC 2. 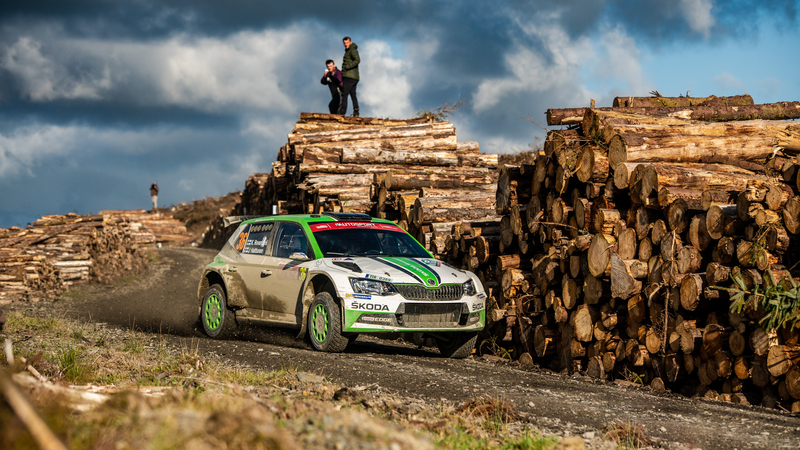 In total he won 13 out of the 18 special stages until the end of day 3 of Wales Rally GB. After the Saturday marathon leg, he was 1.03 minutes in the category lead ahead of teammate Pontus Tidemand. The final leg on Sunday (7 October) features five more stages covering 55.64 kilometres. The winner will reach the podium at the village of Llandudno at around 13h15 (local). 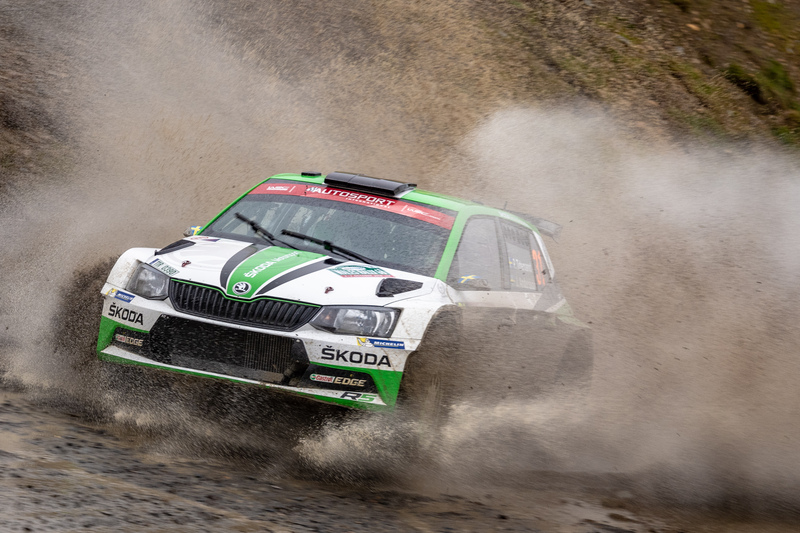 In the WRC 2 category, ŠKODA youngster Kalle Rovanperä set 13 fastest times on the 18 stages of Rally Wales GB so far.